Red Hot Lindy Hop is a vintage swing dance organization in Memphis, Tennessee. We hold dances featuring lindy hop, the original swing dance, plus charleston, balboa, and blues. Lindy hop is a partner swing dance that originated in the 1920s and 30s in Harlem, New York City, and has spread worldwide since then. No matter your level of experience, we would love to have you at our dances--no partner necessary! 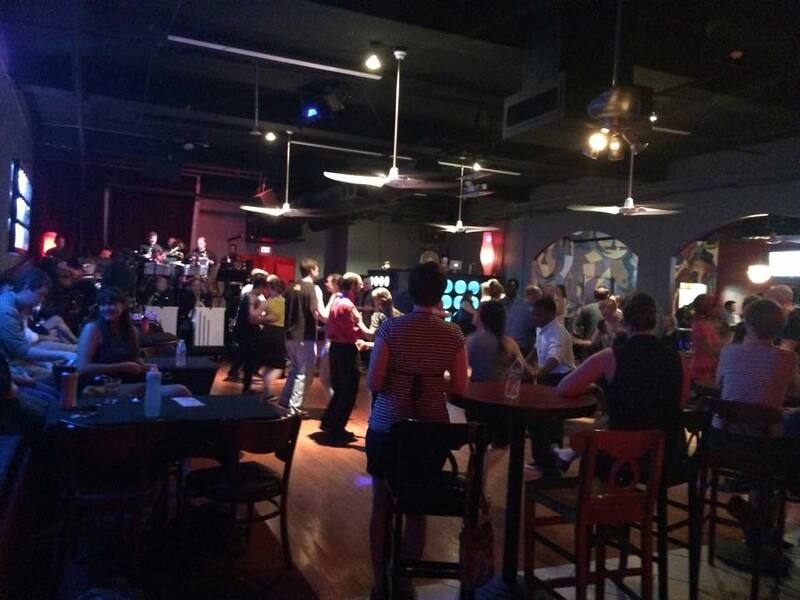 We hold monthly swing dances on the first Saturday of every month at the Rumba Room (Club Rumba) in downtown Memphis. We teach a beginner lindy hop lesson from 6-7pm, followed by dancing from 7-9pm. No partner is necessary, and complete beginners are encouraged to come! Our dances are open and welcoming to all. Red Hot Lindy Hop has joined the I Charleston the World phenomenon by producing a video showcasing our local dancers performing at well-known locations around Memphis.